This shelter was horrified when someone dumped these deformed kittens off at the shelter and asked for them to be “put down” because they looked “different.” – Thankfully this shelter didn’t give up on them! An hour later, these kittens were taken by the shelter and after given proper and necessary care – These kittens were newborn and not even weened, it was sheer luck they even made it alive, it’s a miracle! 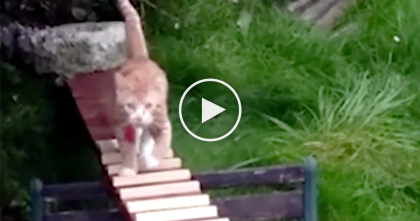 No cat should ever be considered “too ugly” for love.. Just watch this amazing story! 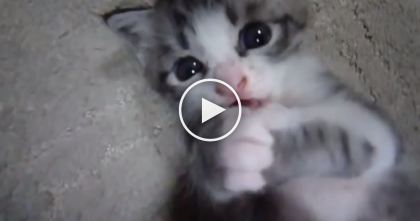 This Kitten Just Can’t Hold His Eyes Open…And You’re About To See Why, PRICELESS. 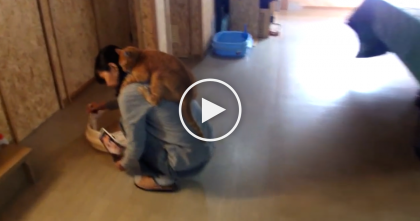 When This Kitty Discovers Piggy Back Rides, He’ll Never Let Go…SOO Cute, Just Watch. 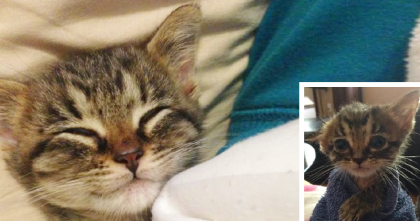 Kitten Was Abandoned On The Street, But When A Kind Human Noticed… Just Wonderful!